Why would I need self storage in Nashua, NH? There are a variety of reasons why you might need self-storage in Nashua, NH. How much is a storage unit in Nashua, NH? The cheapest storage unit in Nashua, NH is $24.00 per month. What size storage units do you have available in Nashua, NH? In Nashua, NH we have sizes that range from 3'x5' to 10'x25' to suit your storage needs. How much is it for a 3'x5' storage unit in Nashua, NH? The cheapest 3'x5' storage unit in Nashua, NH is $24.00 per month. 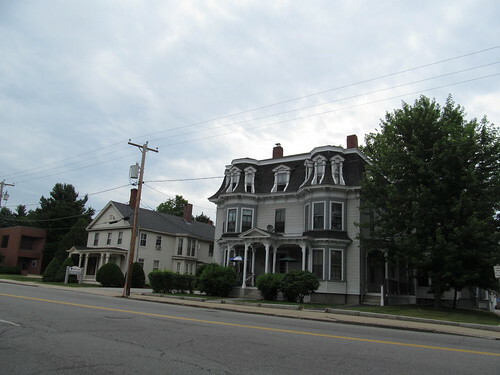 Nashua is a large city that lies along the U.S. Route 3 corridor in New Hampshire's Hillsborough County. One of the largest cities in the state, it has grown and developed along with the entire Boston region. Nashua is the only city to receive Money magazine's "Best Place to Live in America" title on two separate occasions. The area where Nashua now stands was originally called Dunstable and, like other New Hampshire locations, was considered part of Massachusetts. The state of New Hampshire gained its independence in 1741, and Dunstable was incorporated in 1746. New Hampshire opted to change the city's name to Nashua, as a nod to the Nashua River that runs through it. The city grew to become a prominent textiles center during the Industrial Revolution, but the Great Depression crippled the textile industry, and Nashua's last textile mill shut its doors in 1949. Defense firm Sanders Associate, now part of BAE Systems, saw the potential in Nashua and chose it for its home base, which was the first major step toward a revitalized economy. In the 1970s, Digital Equipment Corp. (now a division of Hewlett-Packard) arrived in Nashua, making it part of the region's high-tech corridor. Nashua has become such a popular place to live because it has a good mix of cultural activities and recreational facilities. Mine Falls Park and the Nashua River Rail Trail are scenic locations nearby, providing an easily accessible space to experience the natural beauty of New Hampshire. Nashua's parks and recreation department maintains a number of local parks and recreational facilities, like Artillery Lane, Elk's Playground and Crown Hill Pool. You can enjoy numerous green spaces, walking trails, sports fields and more, as well as community sports teams for both children and adults. With no state sales tax, Nashua is a very popular shopping destination. The city is home to several shopping centers, including Pheasant Lane Mall, Royal Ridge Center and Somerset Plaza. Shops, sidewalk cafes and Irish pubs are all easily found along the streets of the city, so you're never far from shopping or dining. Nashua School District is responsible for the public schools throughout Nashua and its surrounding communities. The city is also home to several private schools, including faith-based and secular campuses. If you're looking for higher education, Nashua Community College, Rivier University and Southern New Hampshire University have campuses in the city. Utilities: The city manages its own water and sewer services, while electricity is sourced from Eversource. Garbage and Recycling: Trash and recyclables are collected on a regular basis, and yard waste collection is available seasonally. Transportation: The Nashua Transit System facilitates a network of public bus routes throughout the city, as well as paratransit services. 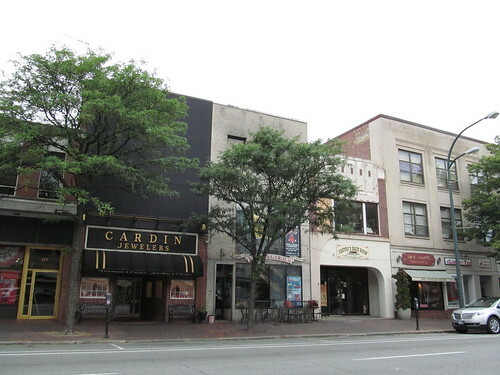 Nashua's historical downtown area is surrounded by pedestrian-friendly urban neighborhoods that give way to cozy suburban areas. Homes are more expensive than the American average, but still fairly affordable when compared to many East Coast cities. Our lowest priced units in Nashua, NH average $38.50 per month. 117 people have reserved units in Nashua, NH in the past 30 days. There are 2 locations within Nashua, NH's city limits. There are 2 locations in Nashua, NH that offer AC and Heating features.